I’ve been fascinated with the scenario of an active volcano poking above the jungle. Back in 2009, I experienced it when I visited Costa Rica and watched Volcan Arenal for 4 nights at the Arenal Observatory Lodge observing incandescent lava rocks tumbling down the flanks before stopping at it’s jungle base. We are going to take a look at two volcanoes which are also set in the jungle, Ecuador’s Reventador and Sumaco. These volcanoes lie within the foothills of the Andes on the Amazonian slope and are surrounded by tropical forests. 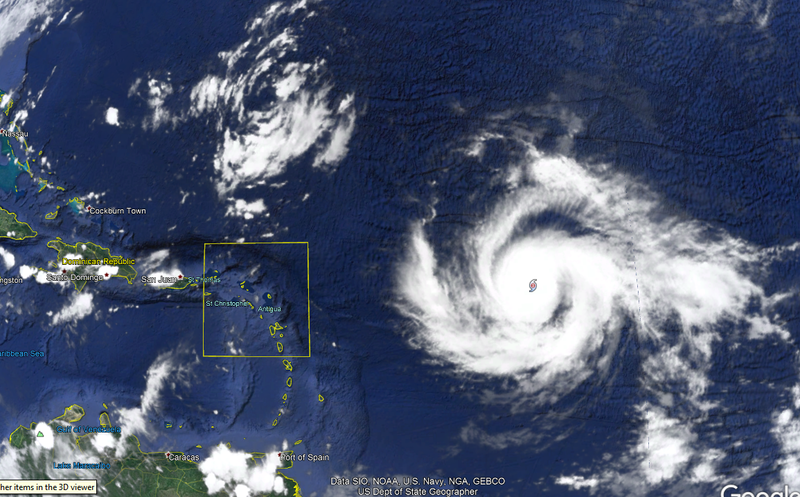 Reventador is currently active while Sumaco is currently dormant. A year ago, I was actually in the area close to Volcan Reventador but I would not have seen a thing due to cloudy weather conditions at the time which makes sense because it was in the upper Amazon Basin and the Rio Coca valley was full of forests. El Reventador is one of Ecuador’s most active volcanoes and not surprisingly so given that the translation in English for “El Reventador” is, “The Exploder”. This 3562m high stratovolcano lies on the edge of the Cayambe Coca Ecological Reserve and it sits inside the western part of a horseshoe shaped caldera which is breached to the east and is located uphill from the Rio Coca valley not far from the San Rafael waterfall, and the Hosteria El Reventador. The caldera itself is 4km wide in diameter and was formed as a result of an edifice collapse and also, numerous overlapping lava flows occupy the caldera floor. Some exposed older lavas can be seen at the Rio Malo waterfall on the southern end of the caldera edifice. While the caldera is accessible by foot via a few hours hike through the forest, climbing the cone itself is not recommended given the high level of activity. They certainly don’t call it “The Exploder” for nothing! Aerial pic of Reventador. IMAGE: S. Hidalgo/IGEPN. The activity of Reventador consists of regular strombolian explosions with some effusive activity but during periods of elevated volcanic activity, the odd pyroclastic flows may occur. Historical observations of eruptions on Reventador dates back to 1541 and continues right up to present day. But the most significant eruption of Reventador occurred in 2002. On the 3rd November 2002, an unexpected eruption with the scale of VEI 4 occurred after a 26 year repose. Apparently there were no visual signs of unusual activity prior to the eruption, only seismic activity detected on the 6th October 2002 and during the early hours of 3rd November 2002. At daybreak, local workers reported seeing a steam column rising about 2-3km above the cone before an ash plume was later observed at approximately 7:15 am. It was only at approximately 7:45 am when the eruptive activity on Reventador started to get rough when the eruption column reached 6km above the cone before drifting southwest. Explosion after explosion the eruption column reached 7km above the cone by 8:03 am and a constant roar was heard up to 8km away in distance. It was at 9:12 am when the main eruption started which eventually led to the eruption column having reached 16-17km above the cone, which resulted in the ash cloud later drifting as far away as Quito and the Andean valley, leaving a 3-5mm layer of ashfall. Pyroclastic flows were observed descending the south and southeastern side of the cone before eventually travelling along the south caldera floor, some flows overtopped the caldera rim. The longest pyroclastic flow travelled 8km out of the caldera before reaching the Rio Coca. Effects from the eruption included visibility problems, roof collapses, crop damage, the closure of Quito Airport for 8 days, and power cuts in certain areas. The eruption also threatened the oil pipeline in the area. As for the wildlife which may have resided in or around the caldera, it was apocalypse for them. During the early hours of 4th November 2002, the intensity of the eruption reduced but continued. Sequence of the 2002 Reventador eruption in 4 photos. IMAGE: Roberto Saca. The 2002 eruption of Reventador. IMAGE: Armando Alvarez Sanchez (Cruz Roja Ecuatoriana). In the days which followed, smaller explosions continued to occur but a significant explosion on 5th November 2002 possibly generated pyroclastic flows. A lava flow broke out around 6th-7th November 2002 which was soon to become the first of many in the years to come. The biggest hazard to human lives in the area came from debris flows and lahars which had occurred in the years to come. By October 2009 there were 17 lava flows recorded since the 2002 eruption, some had travelled as far as 4-5km onto the caldera floor. Out of the 17 lava flows between November 2002 and October 2009 which flowed the longest distances they were: lava #1 (Nov 2002), lava #4 (Apr 2005), lava #5 (May 2005), lava #9 (Apr 2007), and lava #11 (Jul 2008). Reventador lava flows 2002-2009. IMAGE: Topographic change at Reventador Volcano, Ecuador, 2000-2010: Comparison of field and satellite radar measurement. Beyond 2009, a lahar destroyed a bridge over the Rio Marker during May 2010 and a lava dome formed inside the summit crater during September 2009 before eventually growing to a height above the crater rim during late 2012. Activity of recent years includes incandescent rocks breaking off from the summit lava dome, explosive activity, lava flows, and the occasional pyroclastic flows. As we move on from Reventador we go 32 miles south where another volcano within the upper Amazon Basin is located, Sumaco Volcano. This isolated 3990m high stratovolcano rises above the forests of the western Amazon Basin. Unlike Reventador, Sumaco is a dormant volcano which supposedly had one historical eruption sometime between 1865-1925 but it has produced alkaline rocks such as Tephrite, Basanite, and Phonolite, different from the volcanic rocks in the main Andean chain. The reason for this is because magma was formed at great depth and is further east from the Andean chain volcanoes. Aerial view of Sumaco. IMAGE: P. Ramón/IGEPN. The crater of Sumaco Volcano. IMAGE: Andreas Kay. An older Sumaco Volcano (Paleo Sumaco) collapsed following a violent eruption leaving a collapse scar and avalanche deposits to the east. Ashfall in surrounding areas from that eruption came as thick as 10m. The present cone was constructed within the collapse caldera. A parasitic cone, Guagua Sumaco is present just to the southeast of the main volcanic cone. Meanwhile, a significant amount of pyroclastic deposits is present to the south of the volcano. Geological map of Sumaco. IMAGE: Sumaco Ecoroute Guide. The volcano and surrounding area comprises of 4 eco zones: low montane evergreen forest, montane cloud forest, high montane evergreen forest, and herbaceous high wetland. These host a biodiversity of flora and fauna including orchids, tapirs, armadillos, the Spectacled Bear, different species of birds, butterflies, frogs, monkeys, and many more. Being in good physical shape is required to climb the volcano which is said to take three days to ascend, and two days to descend. Different weather conditions such as rain, humidity, coldness, and high winds at the summit may occur. As a bonus section I thought I’d give a quick run through of the other attractions of the area. Volcan Pan de Azucar is an eroded extinct volcano which lies on the southwest edge of the Sumaco Napo-Galeras National Park to the north of Volcan Sumaco. Little is known about this volcano given it’s isolated location deep in the forest. Alto Coca Reserve is located within a forest up on the plateau south of the Rio Coca. You can actually spend a few nights here observing the flora and fauna, and watching the activity of Reventador across the valley. Cascada Rio Malo is an impressive waterfall located to the south of Reventador Volcano which can be visited via a turn off from the main highway. And finally we have the Cascada San Rafael, Ecuador’s tallest waterfall located to the east of Reventador Volcano. Recently, the flow of water was disrupted by the newly constructed Coca Codo Sinclair hydroelectric dam. San Rafael Waterfall on the Rio Coca. IMAGE: Eric Mohl. Mapping and Measuring lava volumes from 2002 to 2009 at El Reventador Volcano, Ecuador, from field measurements and satellite remote sensing – M. Fernanda Naranjo, Susanna K. Ebmeier, Silvia Vallejo, Patricio Ramón, Patricia Mothes, Juliet Biggs, and Francisco Herrera. Sumaco Ecoroute Guide – Theofilos Toulkeridis, Vlastimil Zak, Florencio Delgado, Andrés León-Reyes, Xavier Silva, Fabián Burbano, and Arnaldo Rodriguez-Green. Awesome! I always want to go to Reventador, but never have the time. Wow. The volcanoes are one reason for the fertility of the Amazon. The rain forest gets its fertilizer from the ash of the volcanoes. Perhaps from ancient volcanoes? don’t forget the western Amazon Basin also extends to Colmbia, Peru, and Bolivia. Yes, it is the cumulative effect of millennia of different eruptions. Is there an obvious difference between rain forest near and far from volcanic activity? Here is the location of the Korea nuclear test (this is actually the second time they claimed to have tested a hydrogen bomb). According to the news, it was a 100 kiloton explosion. On the map, you can see Tianci, on the border between China and North Korea, which is the site of the millennium eruption (which we now know was misnamed as it actually went of in 946 AD, rather than 1000) , as a high VEI6. It seems to be preparing for another eruption. Now St Helens produced a 64megaton explosion and this one was rather bigger – so within this picture, the volcano outperforms the military by at least a factor of 1000 and probably much more. And all from a bit of molten rock, and entirely radio-inactive. In the battle of the military versus the Earth, the Earth wins. Whether it is wise to carry out big explosions close to a loaded volcano is of course a different question. I highly doubt any effect is being made on the volcano, plus the volcano itself is over-rated just like Yellowstone. On another note, with the notable lack of M7+ quakes this year combined with no major eruptions (yet) and the overall number of eruptions being on the low end of average, 2017 looks like it is going to be geologically the quietest year in quite a while! 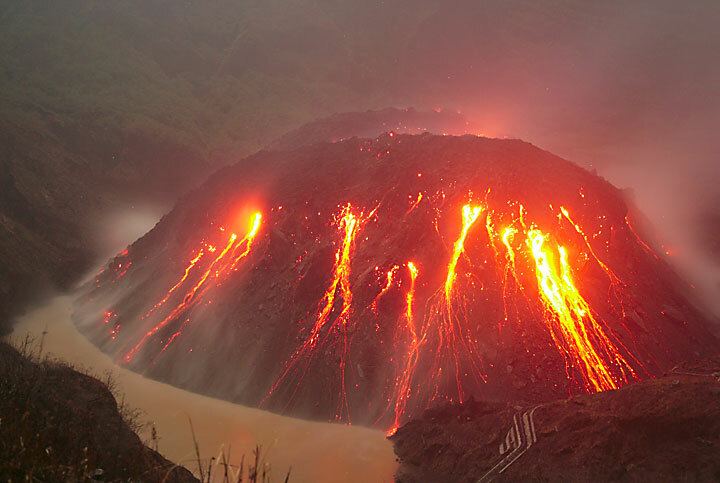 DR Congo and Papua New Guinea are also examples of volcanoes in the jungle. – I also remember on ‘the lost volcanoes of chad II’ that there was a mention of a third volcanic area which was even bigger but nothing came of it. Im wondering if this is intentional of just a forgotten area. Same with Carls hekla series from earlier this year, it just seems to have been forgotten. (I wrote this on the last article but I dont know if anyone saw it as it didnt look like there was much comment activity on the last article compared to others. Sorry if me repeating this is considered spam). I have a bit of a tendency to have a rambling mind. But rest assured that I will return to both the African volcanism and Hekla in time to finish off the two series. In regards of Erta Ale, it is in that rather long list of African volcanoes that I have intended to write about. I pondered upon pushing it up the list since it is currently more active. But there is a problem. And that is that there is a lack of credible data to write about. The area so far has mainly been visited by thrill seeking photographers, and very few scientists. I will though sooner or later get to it. But, since things have a tendency to happen it may take a while. Actually another thing I have been thinking about regarding the afar triple junction area is whether a large rifting fissure skaftar fires type of eruption could happen there. I remember reading something that the 2005 dabbahu volcano eruption just south of erta ale was accompanied by a 60 km long 2.5 km3 dike that only barely made it to the surface to cause the small rhyolite eruption there. Ive been confused somewhat as to why it didnt become a massive lava flood if it had that sort of volume and length. I actually have had a bunch of thoughts on this area since the start of this year. I have a suspicion that the east african rift is MUCH more volcanically active than is reported in recorded history and probably capable of much more than observed recently. North Korea tested another nuke. A thermonuclear, likely in the 100kt range. Earthquake M6.3. I am concerned that a war will start sometime in the next few months. The worst of all, is that this will affect us all, with serious global climate, food and economical consequences. The situation is already out of control. Why? Because NK seems to be willing to risk war too, more than just asserting itself with a nuclear deterrent. Because they know that Trump is capable of attacking them and still they tested ICBMs and nukes, even over and near other countries. With an agressive and impulsive US president, things do not bode well. And if NK fires a missile near Guam, then I am pretty sure, Trump will react with war, But he might already react in the next days, as he just said “we will see”. Like he said, after the Syria chemical attack. There is the possibility that there are things behind the scenes that we don´t know, and could explain the crazy behavior of NK. But without considering that, I think NK is doing this, because it sees the threat that the US is preparing for a war (since several years actually). So this explain their crazy bold behavior, as a “don´t attack me, because I can attack you back in a very bad (nuclear ICBMs) manner”. This might be a bit true, but I think NK exagerates its perception of a threat. This leads to paranoia that can only end up badly. Kim is already miscalculating things. As the US faces now a nuclear-armed paranoic state, this is a more dangerous situation that it was during the cold war, when both partners were logical and carefully playing their chess. Trump might already start an attack, like he did in Syria. Even if he doesn´t, NK will keep doing this. Eventually it will fire a missile near Guam, and then I am pretty sure Trump will react, and a war will start. NK will surely attack back with their nukes. And we will see the first nuclear war in our history. Question is: does Russia or China interveene? And most importantly: what are the climate consequences of this? PS: the world largely ignores this danger, it´s a bit like 1913 and 1937,almost no one believes a world war will start, despite the clear signs. The Scary recent statement that Kim made was regarding this particular type of Nuke. If what he said is to be taken at face value, he mentioned in his last speech/statement that the device could be detonated from ground to SPACE, and had a variable output capability. There was the statement about EMP and his willingness to use it.. These papers as well as several others talk about the effects of a HIGH ALTITUDE Nuclear burst.that can induce an EMP pulse 50,000 volts per METER of cable. This was realized from a 1962 HIGH altitude blast more than 800 miles from Honolulu that blacked out a portion of the island. The electrical problems were not realized quickly since the 60’s was still in the vacuum tube era. We are now in the solid-state semi-conductor era that is VERY SUSCEPTIBLE to even low voltages (have you accidentally destroyed a modern device with static?) Our phones charge with FIVE Volts. If “crazy” Kim were to shoot one of his new devices OVER anywhere, say 60 miles over Japan (accuracy is not critical in this situation, just get near),.. Japan would be economically destroyed, without immediately killing the population. Water, power, transportation systems would cease to operate until all transformers, motors, computers, were replaced. (I seriously doubt that the civilian infrastructure in Japan, US, Russia, China, Korea are resistive to EMP. The NK consider using an EMP. This would be a radically new game. But even more interesting is both Trump and Mattis speaking of considering “many milittary options” or “the likes the world has never seen”. Seems to me the willingness of the US to use some completely new forms of weapons. But back to the geology: could testing a thermonuclear bomb near Mount Paektu trigger an eruption there? Nevertheless a M5 earthquake in Bardarbunga in 1996 triggered the nearby Gjálp eruption a few days later. And the M9 in Chile some decades ago, also triggered a volcanic eruption many kms away. I don’t think the M5 at Bardabunga is a fair example. The non-double couple event was likely a result of the same mechanism that was pushing the magma. Just because you hear a “kaBOOM” and your tire goes flat, doesn’t mean the kaBOOM made your tire go flat. True story, I had this happen and turned right into a service station. Upon pulling the tire off the rim, the mechanic found a box end wrench inside my tire. It had gone through my tread. I suspected that I had left a wrench on my chassis frame that had fallen and killed my tire, but it wasn’t one of my wrenches. GL Edit; Released from the comment dungeon. However, I do take issue with the superlative laden clickbait title. Blame hack reporter Robin Andrews, not Margarida. Quick note. Kelud in Indonesia erupted in 2014. Prior to that, it had extruded a pretty significant dome that displaced what used to be a crater lake. When the eruption occurred. A short calculation of the size of the original dome and the size of the resultant ash showed via a milling formula, that the energy release was roughly equivalent in scale to Mag 6.0 or so quake. That has got to be one of my all-time favourite domes. It looks so awesome in the twilight! China can stop it tomorrow. Go figure. I would NOT bet on that. Not at all. That relationship has changed; this is a very dynamic and dangerous situation. An analyst speaking on the BBC pointed out something extremely interesting and which hasn’t been widely noticed or reported. Yesterday’s test coincided precisely with Chinese president Xi giving a major speech to open the BRICS meeting. He is reportedly incandescent about this. Their other two most recent tests – of missiles rather than bombs – have also (no coincidence!) been timed to coincide with major events involving Xi. That’s a VERY strong message. It’s apparent that, especially since the latest sanctions, North Korea now also regard China as an enemy, and the tests are almost as much directed towards China as towards their more traditional enemies. And that little fact is quite breathtaking when you think about North Korea’s position. As much as anything else that makes me think more than ever that North Korea may well be seriously pursuing the ‘suicide in a blaze of glory’ route. And I read in the Telegraph that President Xi had very recently spoken about “Kim Wrong Un” in extremely disparaging terms. The article considered it unusual for the Chinese President to be so belligerent. 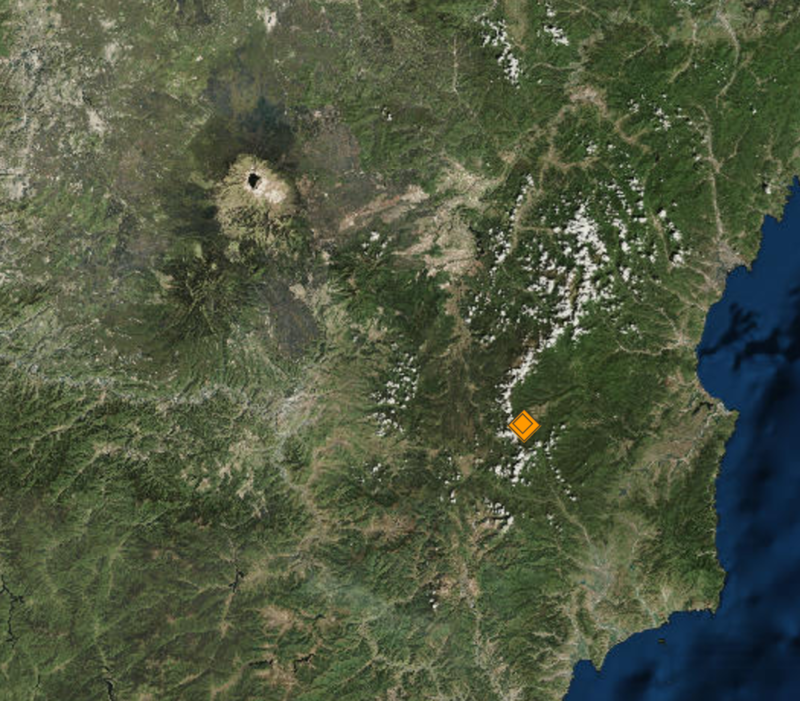 Volcano to Test Site <70 miles according to Google Earth. Hitting a Hebert Box doesn’t mean it will hit South Florida, but it does mean that South Florida really needs to pay attention if passes into one. Me, I’m not in South Florida, but I always keep preparatory goods stocked up during the season. There is a glacier on Bárðarbunga has recently been found. How did this topic go from being about Amazon volcanoes one minute to North Korea the next then Iceland the minute after that? Welcome to VC – home of the wanderers. Not quite what I had in mind .. it is not known for its volcanic action, and not much forest (but plenty of rain). I had a memorable trip into the Tobago rain forest once. Never been so wet in my life. Sadly no volcanoes. I love the pictures in this post. They make you want to book a trip straight away. I want to praise and thank you for your valuable contributions to VC. Having not been able myself to visit many of the more exotic(remote) places, your presentations and well written articles are very much enjoyed by me. Regretfully world conditions (geological and political) sometimes hijack our minds.